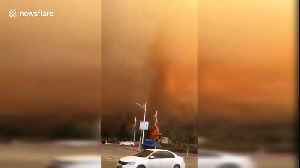 Video of the flames and massive smoke clouds was filmed in Shenyang City in Liaoning Province today (April 17), showing some of the devastation and impact it had. Around 1000 rescuers were sent on site to extinguish the fire but the winds, running at a speed of 28mph, made the fire spread faster. The fire has not been controlled yet but no casualties were reported. 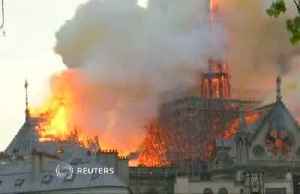 A major fire broke out at the medieval Notre-Dame Cathedral in central Paris on Monday afternoon, leading firefighters to clear the area around one of the city's most visited landmarks. 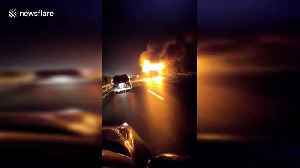 Havovi Cooper..
A coach with 56 passengers was engulfed in flames on Changsha-Zhangjiajie Expressway, killing at least ten. 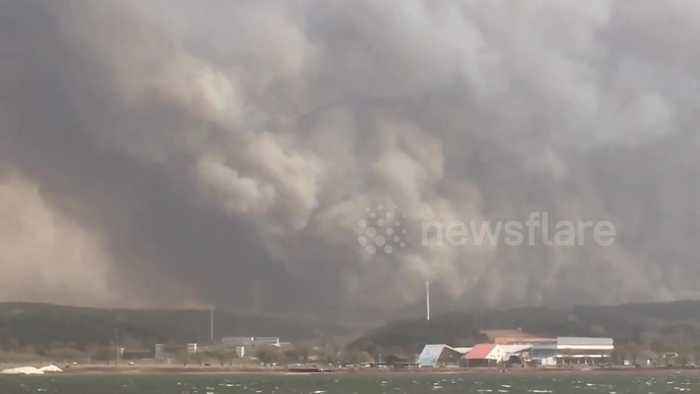 The dramatic video, filmed in Changde City in southern China's Hunan Province today (March..
A chemical factory in eastern China’s Yancheng City exploded today (March 21), shaking buildings for miles around. 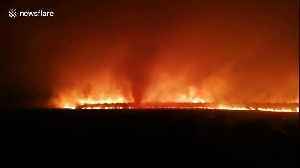 The dramatic video shows the residential buildings which are five kilometers’..
A major forest fire from the Russian side of the China-Russia border threatened northern China on March 18. 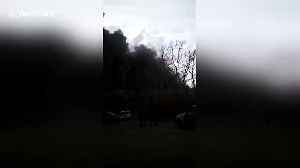 The dramatic video from the Yanbian Korean Autonomous Prefecture shows bright flames and..
A large fire has broken out at a factory in central Russia that processes rubber goods today (March 17), resulting a large column of black smoke issuing out. The Iskozh plant in Chernogorsk in the..